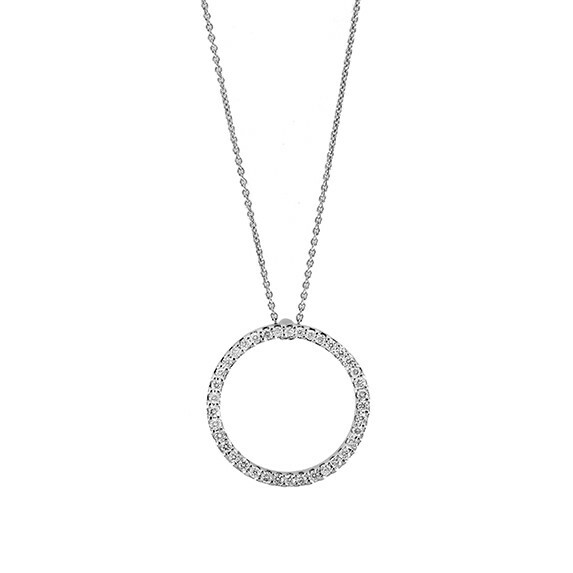 The Tiny Treasures collection by Roberto Coin gives you this stunning gemstone circle necklace. Crafted in 18kt white gold, the tiny shape is embellished with beguiling white diamonds. It floats on a matching white gold chain. 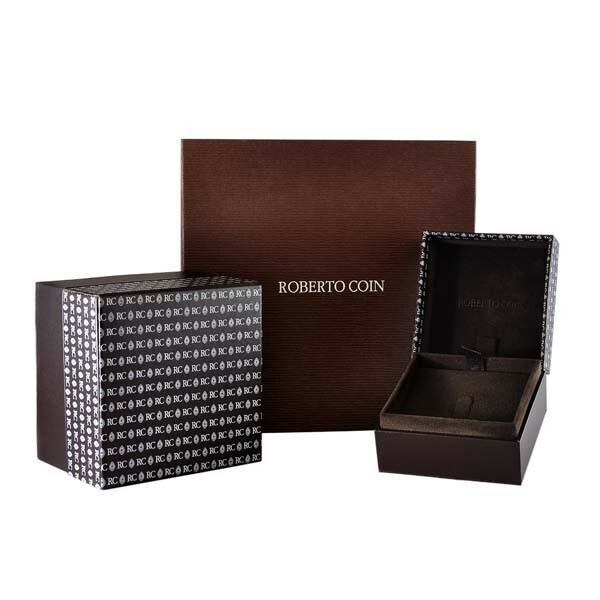 The possibilities are infinite with this amazing Roberto Coin piece!